It’s Fashion Friday! 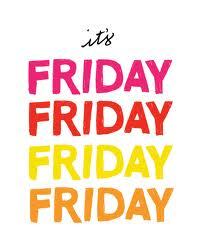 One of my favorite days of the week! Let me start by saying that I have including an AMAZING offer for you below from The Humbled Homemaker’s, Erin Odum. She has spent a lot of time and energy in creating the amazing ebook, Confessions of a Cloth Diaper Convert. I received it yesterday and read it within just a few hours. I couldn’t stop! Right now, you can get the book for the introductory price of $9.95 and for this week only (through Sunday), you get $250 of coupons and special offers to go along with it! Jump on this quick, ladies and gentleman, because an offer like this doesn’t come around twice! All the links are below and you can also click on the picture to the right of this post on my blog page. *Stains. If you have a stain, be sure to treat it right away if possible. A lot of people use those fancy tide to go pens. Since I’m not really a fan of tide anymore, I will use up the one I have and them get rid of it all together. I usually treat any stains once I get home with my vinegar spray bottle. Adding vinegar and even some borax to your wash cycle will do wonders! If the stain is still there after the wash, be sure to let it SUN DRY. Putting it in the dryer will set the stain and at this point, it will more than likely never come out. If the stain remains, repeat cycle for a couple times. You can check it out more at this post I did specifically on stains. *Missing button. Missing buttons stink. It seems that they always fall of an important location versus a decorative or non-important location. If Emma had a button that fell off, I would try to make due with what we had for the time being. If we’re out and about, we would probably just go with the flow unless it affected her in discomfort or over exposure. In this case, I always carry an extra outfit. I will not be caught and about having to buy another outfit. At least not on a day when I’m in my right place and mind. At home, I would more than likely be able to repair this with my trusty mini repair kit. *Hole in clothing. Let’s be honest here, if the hole is not too big or in an inappropriate place, I may just leave it. Holes are somewhat “in” depending on the outfit and where and some holes are more work than they’re worth. If they’re big or inappropriately located, I have two decisions to make. Is the hole worth being repaired? This being, did I pay enough for the outfit to invest in serious repair? And if so, I will let someone take it and repair it. This is beyond my personal skill set. Thus far, I have NOT had this issue happen. The next question I would ask is can this be transitioned into a sleep piece or play outfit? If the answer is yes, then it goes to it’s new home. If the hole is not really that bad and can be repaired but you don’t want to keep it, consider donating it to someone you may need clothes and is gifted enough to repair it themselves. I hate to throw something aware that someone may be able to use. *Broken strap- I am not a seamstress by any means. I have tried and tried again and let’s be honest, my brother does better than me. No joke, I had a few buttons that came off my pants in high school and Erick would be the one to sew them back on and them stay. Me? They’ll fall off again within a day. With broken straps, if I’m out and about I would invest in a small stash of mini safety pins. I’ll use them all up during the next Wee Cycle It so they won’t go to waste. I don’t carry them around with me because I honestly don’t have room for them. I’d end up putting them somewhere and finding them 10 years later in my purse. When I get home, believe it or not, I CAN repair small things like this with my mini repair kit. I would do my best to find a similar fabric and if not, variety will add to the uniqueness. *Find a friend who is a seamstress. If you know someone with the ability to sew, she (or he) needs to be a friend for life. This is a lost trade in recent years and a very valuable one at that. If you know someone, they will more than likely make your tiny repairs for a fraction of the cost or maybe even FREE! Let me advice you here to offer a little more than a “thanks!” A plate of cookies or brownies are always appreciated! So what fashion fixes have you taken care of for your kids? Any advice? 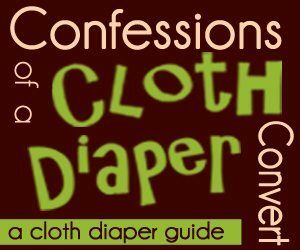 I can hardly believe the day has finally come to launch my eBook, Confessions of a Cloth Diaper Convert! Whether you decide to buy the book or not, I want you to know that I am so very grateful for your support and for spreading the word about this resource that I have spent so much time and energy putting together! This book is over 200 pages long, and I tried to make it as thorough as possible. When I first started cloth diapering, I was so confused about all the information about cloth diapering. And I made just about every mistake in the book. I’ve written this handbook to save others the same frustration–and time researching! 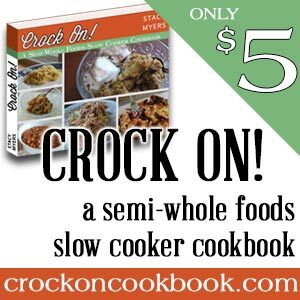 And now, for our ebook launch SPECIAL! A free baby sling from Seven Slings ($48 value!). *Note: Shipping is NOT included. Be sure to check it before entering your credit card information! I recommend checking on all this and weighing the pros and cons of the promos before buying the book and then using them. I feel very confident this book (over 200 pages!) is worth more than $9.95, and will save you money, but it is very important to me that you know there is not free shipping with the freebies. *Please note that all of these coupon codes expire within the next 2-6 weeks. Some of the stores offer free shipping and some do not. *Please note that all of these coupon codes expire within the next 2-6 weeks. There is no shipping on electronic products. Are you curious about cloth diapers? Please read the terms and conditions of the sale here. If you’re interested, please click the picture above to get your copy today! Also, you can click on the affiliate link to the right of this post. Have a great day! I absolutely LOVE Jerry Maguire. I remember watching it with my momma and crying like a baby when Renee Zellweger told Tom Cruise, “you had me at hello”. Just shut up. Oh, such good memories. I also remember when she married Kenny Chesney after he wrote that song about her. Yea, now I’m REALLY getting off subject. Today, I want to talk about ways we can teach our kids to follow in our footsteps and how we guide them along the way with helping out. Right now we’re in the process of teaching Emma how to be a helper. It’s about team work and we’re a family that works together. We’ve tried to let Emma learn a little on her own and a little with our guidance, too. It’s wild how much she picks up all on her own without us having to do a thing. Here is what we’re starting with now. Keep in mind that Emma is 19 months old so her responsibilities change quite regularly as she’s growing up so quickly. Once she hits a steady age, we won’t add to things as often. 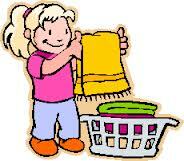 *Emma decided on her own one day that she wanted to help fold laundry. It started with her getting it out, piece by piece, and handing it to me to fold. Every once in awhile she would offer a sweet thank you, too. As she’s grown and let me teach her, she now knows how to unload the washer and dryer, load the washer and dryer, and press the start button. She’s still too short and not strong enough to turn it on or even open the doors once they’re closed. She has to have my help, but I’ll be honest, I’ve really enjoyed having her help, too. She is so precious shaking the clothes as she hands them my way. She even gets her feelings hurt when she doesn’t help. Too funny! *We’re working on teaching Emma to pick up her toys. Let me chime in here and say that I have a case of OCD and have a really hard time letting someone else taking the lead, even my little girl. I like knowing that everything is clean and put away the way I want it done. I’m working to do better on allowing her to help in this process. 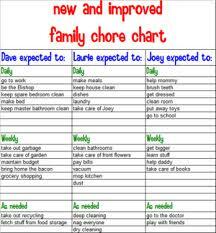 I want her to learn how to clean up after herself and not always expect mommy or someone else to do it. So far, she’s good at putting the items away but hasn’t quite realized that we don’t need to get it back out. Ahem. One day we’ll learn, right? *We expect Emma to follow certain requests from us and have always tried to focus on talking to her like she’s an adult. When she wants yogurt to eat, we ask her to get a spoon to go with it (she has access to all her serving items). She lets us know when she wants something and we are working hard to teach her manners, including thank you. We are helping her learn to be a girl as she grows into toddlerhood. Even the small things, like thank you, are important when taught in the right context. Emma KNOWS what thank you means and understands when and how to use it. I feel so proud of her and that she knows how important this simple phrase it. At this point these are some of the things we’re teaching Emma. It’s so important to start teaching them young to help and do their part. I think it helps our children grow to be team players and know the value in the work that we do for them. What are you doing to teach your kids to help out? 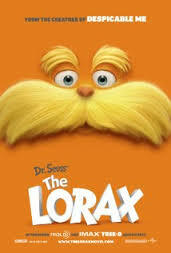 Have you seen The Lorax? If so, you can agree with me that it’s a cute movie for kids but a convicting movie for parents. The question the Onceler asks in one of his songs, is “how bad can I be?” Emma runs around the house singing “baaaaaaad” anytime we watch it. For her, it’s fun. For me, it just makes me think more and more of what I’m doing for the good, or the bad, of our environment. It’s worth thinking about and that will be our topic for today. Another way that we’re working to be more environmentally friendly is with recycling. For a long time, I thought it was good but wasn’t for us. 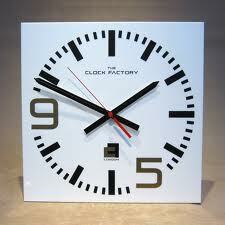 It was another thing that I didn’t have time to do. Until I started researching and realizing how much I could give back if I did something as small as recycling my water bottle. And then it expanded to paper. And cardboard. And other plastics. Did you know most shampoo/soap/etc bottles are labeled 1 or 2 and recyclable in most areas that have recycling available? The things you learn! There’s something that really makes me feel good about myself and what we’re teaching our child when we go out to the Coomes Center to drop off our recycled items (our local drop off). We got our bin at Ikea, but you can find them just about anywhere or make one yourself. I would recommend focusing on buying items that are environmentally friendly. They will dissolve a lot quicker than other items and go back into the soil, even in the dump. When you have things that are plastic, especially heavy plastic, they will last FOREVER. They will be here 30,000 years from now when your lineage is long gone. But don’t worry, because your plastic bottle will still be around. Write your name on it so people will know where it came from. Or recycle it. Because THAT would really be the better idea. *I don’t bring work home (often). There are some times that I have to work. There are some days that Emma is home sick and I have to stay with her so I bring my work with me. On most days and evenings, however, I don’t work other than answering an occasional phone call or email. There are some times that work has to happen, however, and for those times, I get my job done but make sure that this isn’t a common occurrence. Usually, this only happens during big events or holidays, so only a couple times a year. *I multitask. The only way I can make sure that my work doesn’t come home with me is to work hard while I’m at work. There’s a lot to do and only 8 hours in a work day, so that means I have to be on my toes and ready to go from the moment I get there. There are some things that don’t require 100% of my attention (for example- printing items), so while that’s going on, I try to do something else at the same time. Sitting around waiting on a print job that will take 10 minutes can be time spend doing something else. *I keep a schedule/calendar for my work and home events together. I know a lot of people keep two different calendars and I did that at first, but then found I was missing things on one side of the other. When I keep them together, I know that I have a meeting for work one night at 6pm and prepare for that in advance. I also know if Emma has a doctor’s appointment at 9am and it means I need to do a little bit of catch up the day before. This helps in a huge way and reminds me of how much time I have for both parts of my life. *Although I keep Emma separated from work, I don’t keep her separated from what I do or the people I do it with. Emma visits me at work when Farris (her babysitter) is out that way. There are sometimes that I have no other option than to bring her in with me. The reality is, however, that she LOVES the church. She loves the space ther and the people she sees. And they love her, too! They know her by name and she is always loved on in a HUGE way when she comes by. I love knowing that the people at my work value her. *As Emma grows, I will probably involve her more in my work because I do work for a church. I want her to understand and know what all we do and how we are serving God with our time away from her. I want her to know that JR and I both love the jobs that we have and are so very blessed to be employed by the place that has changed both of our lives in such a positive way! Not everyone has this experience with their job, so I know we’re beyond blessed! *I fight mommy guilt. 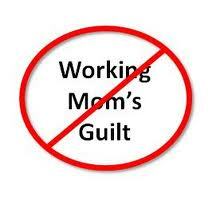 It’s so easy as a mom- whether you work out of home, at home, or as a full-time homemaker, to not have mommy guilt. We all have it! I have to remind myself from time to time that for this season in my life, this is where God has called me to be. He has called me at this moment to be a full-time working mommy and because He has called me, I know He is taking care of my family. I also know that I give 110% when I get home and give my time and attention to Emma as best I can. I’m working to be the best mommy I can be and rely on Him to carry me when I fail. This is how I’m working on balancing being a full-time working mommy. How do you balance work and home? I’m sure you all are wondering what’s up with me and all the salad dressings here lately. Well, I LOVE salad. And I love dressings. Simple as that. 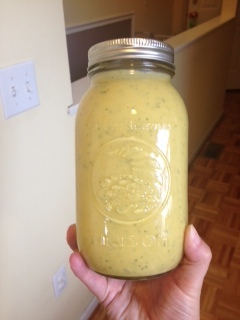 One of my absolute favorite dressings to make it honey mustard. I love it in restaurants or at the store, but there’s nothing that compares to the taste of homemade. My favorite recipe is one that I was certain belonged to my momma. She made it for so many years that I guess it was just instilled in my head that she had created this recipe. Is it a true fact that this recipe does not belong to my mother. 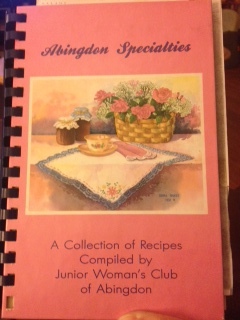 It was actually a recipe from mom’s Junior Woman’s cookbook created by my mom’s best friend, Debbie. So, thanks Debbie! You start with a few ingredients. I say the less the better. For this recipe, you need stuff that most people have in their pantry: mayonnaise, sugar, honey, mustard, white vinegar, parsley, and oil. I adapted mine a little bit. We have switched to Safflower Mayonnaise. I also used sucanat, Annie’s natural mustard, and olive oil for my oil choice. I didn’t think coconut oil would be as good since it hardens at room temperate, much less when I put it in the fridge. I started by measuring out 3 cups of mayonnaise. I felt a lot better doing it knowing the mayo was better for us. By the way, have I ever said here that I don’t like mayonnaise? Because I absolutely DO NOT. I can tolerate it in other things but can’t stand it alone. It really grossed me out even doing this part. Luckily, I love honey mustard so I was able to look past this. Next, you add in 1/3 cup of sucanat, ½ cup honey (raw is best), ¼ cup mustard, ¼ cup white vinegar, ¼ cup parsley, and 1 cup of oil (I prefer olive). Whisk it really well. The last thing you want is a chunk of mayo on your salad (yuck!). I actually whisked mine a little in between each ingredient to help. My favorite part is adding the oil. You can see it separate and it looks crazy! This part needs to be whisked the most to make sure it’s blended properly. Once done, this will store perfectly in a large mason jar. It equals to 4 cups. I recommend storing it in the fridge to chill for at least 1 hour prior to serving.I usually let it chill for at least half a day. The best part of this dressing is that it’s not only good on salad but with chicken of any kind. If you want to make some crusted chicken, it tastes REALLY good with that. Yum! Maybe that’s what I should make for dinner? I imagine it would taste well with other things, too, like crusted fish. Yum, yum, yum! I hope you enjoy this recipe and join us back next Monday as I share a salad continuation for Manic Monday- toppings you can add to salads to make them work with almost any meal. See you there! Combine all ingredients, with oil going last. Blend well. Put in fridge at least 1 hour prior to serving. Yields 4 cups. 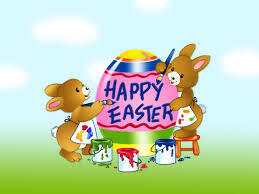 As Easter quickly approaches and spring it already here, there will be a lot of people who have the opportunity to have family pictures made. Different people have different ways of doing pictures and today I want to share with you some ideas on how to do certain themes for your family pictures. I hope this helps you create some ideas to capture some great family moments! 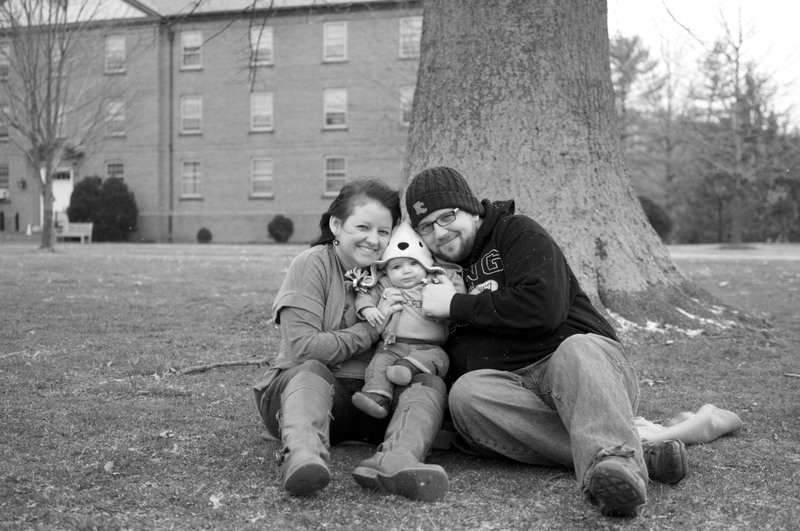 *Your Alma Mater- Take family pictures in either your high school or college attire. JR and I went to different high schools but we both went to King College (now University). We make a point every year to do pictures in our King attire. It’s a lot of fun and reminds us of the college we both love so much. You can switch it up, too. If you and your spouse went to different schools, do some fun shorts of you in your own attire and your kid wearing a mix of both. 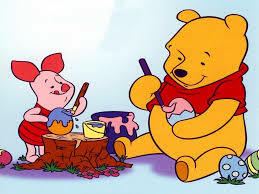 Whatever you do, just have fun doing it! *Your Favorite Team- If we have a favorite sports team, dress in their attire for pictures. We love the University of Tennessee but haven’t done an official family photo shoot in the attire. We don’t plan on it for now but may at some point. *Your child’s favorite things. Emma is a lover of sock monkeys. We did her birthday this past year in sock monkey theme and took many pictures in the process of doing it. As your child gets older, you can do pictures with you all dressed in a certain style. For example, angry birds are something Emma likes and we’d like to do some shots with her and her angry birds along with some clothing and attire to match. JR and I don’t necessarily have to wear angry bird attire, but we can wear colors that match. *Work on Blending. We try not to “match” so much as we try to blend with one another. For example, we have some outfits for our family pictures this year that pull together different colors. Emma is wearing a bright red, black, and cobalt blue dress. It sounds odd but the color combination is beautiful. I’m wearing a bright red dress with black leggings (of course! ), and JR is wearing a dark jean color shirt with a black one underneath (the red color didn’t look good with his skin tone but these colors pulled from ours). It looks great together but doesn’t match so much you want to vomit. *Your Style- Based on your style, try to dress like that and possibly spice it up at the same time. For example, if you are more urban/hipster style, try doing shots at a downtown location. If you are more country, try taking shots at an old barn or farm. If you enjoy the outdoors, then go hiking and take pictures along the way. Use your surroundings (especially those that are free) as a backdrop. It will add uniqueness to your pictures and also pull out your personal style. 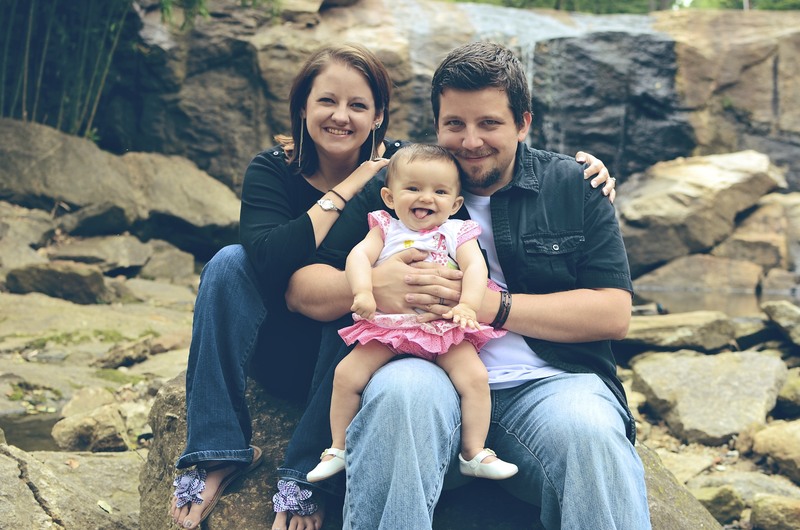 These are some suggestions on how to prepare for your next family pictures. Do you have any suggestions?